This 21.5" alloy frame unisez all terrain mountain bike has 24-Speed Shimano shifter set and disc brakes . 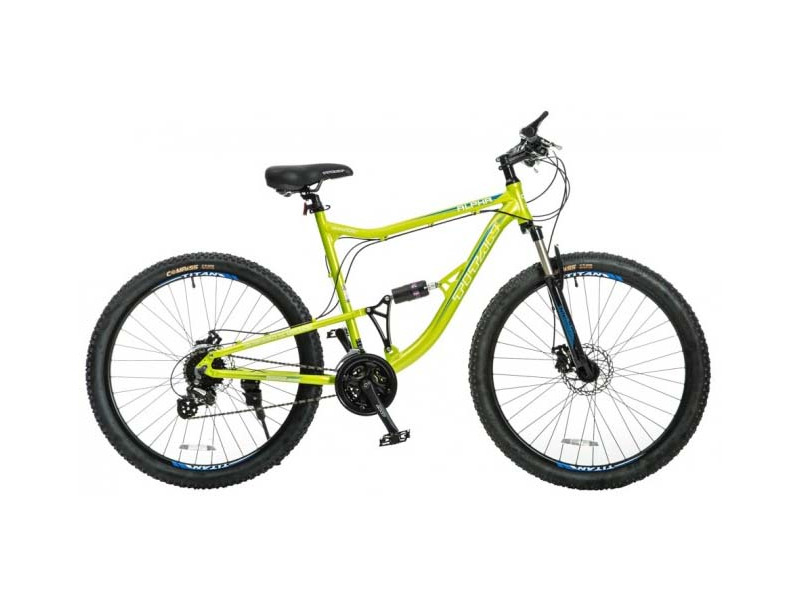 It is lime green wtih blue decals and has 29" double wall alloy wheels and tires with a black crank and chain wheel set and has an adjustable saddle and handlebars. The front derailleur is a Shimano Tourney and the rear derailleur is Shimano Altus.